Now that the holidays are over (I hope everyone had a good time) and things have settled down a little, I decided I wanted a simple, tasty, warm meal. Pot pie was the only logical answer, especially with a biscuit baked on top. Happy New Year everyone and may your year be full of good [vegan] food. 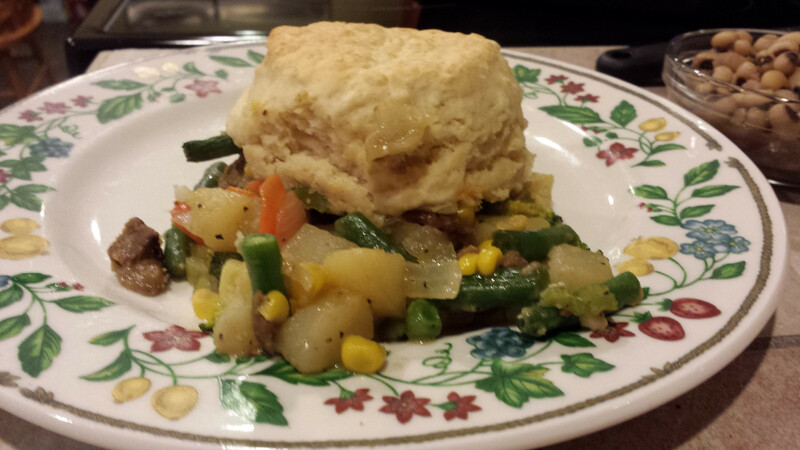 This entry was posted in Recipes and tagged almond milk, beefless tips, broccoli, carrots, celery, corn, flour, garlic salt, green beans, onions, peas, salt and pepper, vegan biscuit, vegan gardein, vegan gravy, vegan vegetable pot pie, white pepper gravy. I decided to recreate one of my old favorites in a simple way. The only thing you change is the chicken ingredient, the rest is the same. So quick, so convenient, so healthy and so good. You can enjoy it in a pita half, traditionally with sliced bread, or with a side of crackers. Also, if tempeh is a ‘no go’ for you, you can easily use chickpeas instead with the same satisfying result. 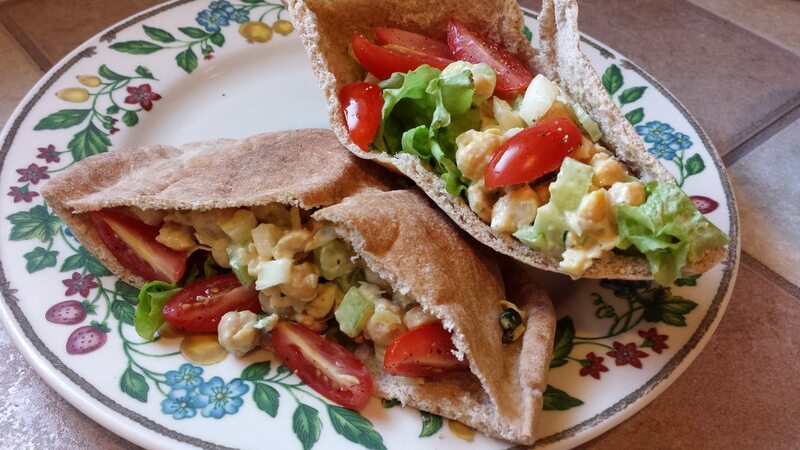 This entry was posted in Recipes and tagged 'chicken', basil, celery, chickpeas, dijon mustard, red onion, relish, salad, scallions, sunflower seeds, tempeh, vegenaise. I have made a total of around 5 or 6 different Shepherd’s Pie recipes over the last year. This is the first one where I actually said ” Wow, this is the one. ” So here you go. I was able to make 3 individual pot pies, and an 11 x 8 ” sized pie I believe. They came out gorgeous, so I will probably make more next week, honestly. This entry was posted in Recipes and tagged carrots, celery, cream cheese, Daiya Jack Style, Gardein Beefless Tips, garlic, garlic salt, olive oil, onion, parsley, peas, potatoes, soy milk, Toffuti, vegenaise. This entry was posted in Recipes and tagged agave nectar, apples, celery, grapes, raisins, vegenaise, walnuts, yogurt. 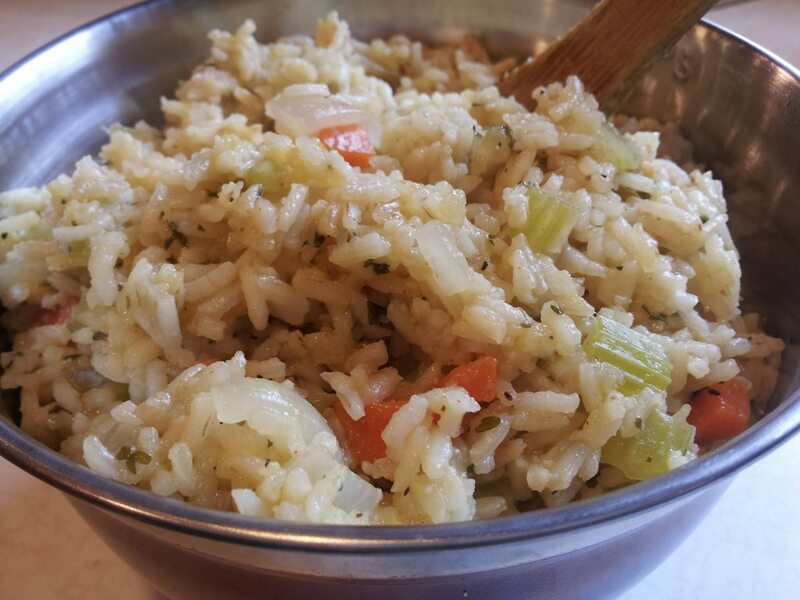 I have made this rice pilaf several times, and every time I have paired it with something different. It is great by itself, with beans on top, or even along side some BBQ seitan. I love it because 1) it automatically stretches any meal to save some money and 2) it has vegetables scattered throughout. This entry was posted in Recipes and tagged carrot, cayenne, celery, garlic salt, onion, parsley, pepper, pilaf, rice, vegetable broth, water. 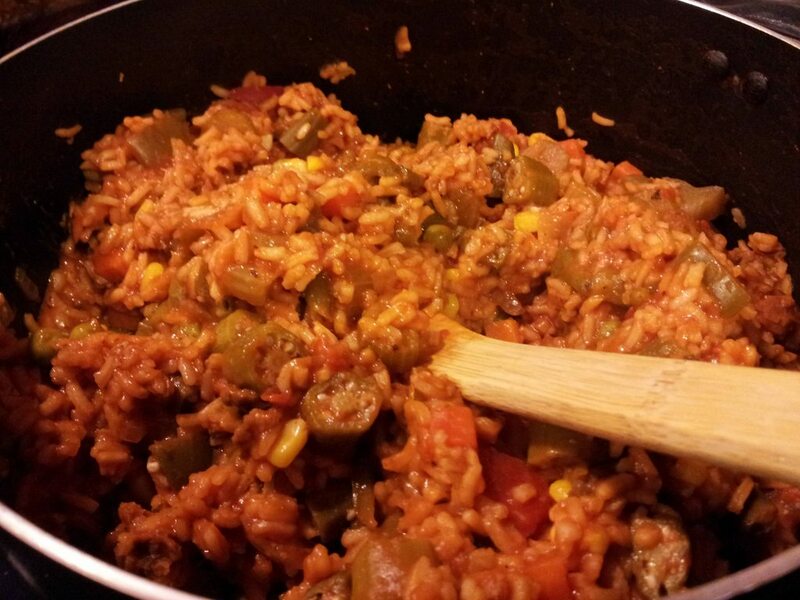 This entry was posted in Recipes and tagged bell pepper, cayenne, celery, cloves, okra, onion, oregano, paprika, parsley, rice, tomato, tomato paste, vegetable broth, zucchini.